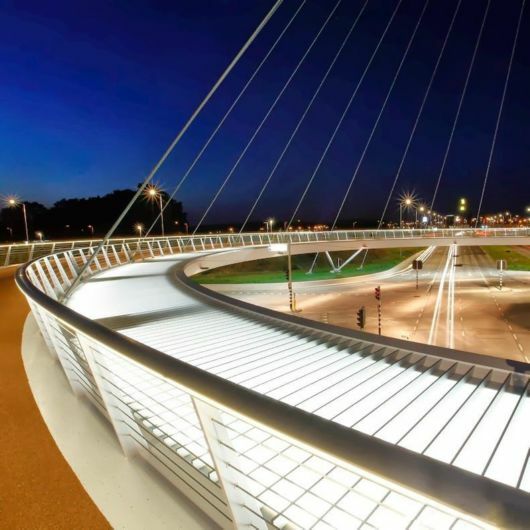 The hovenring in the Dutch city of Eindhoven, is a cable-stayed circular bridge for cyclists and pedestrians, and the first of its kind in the world. 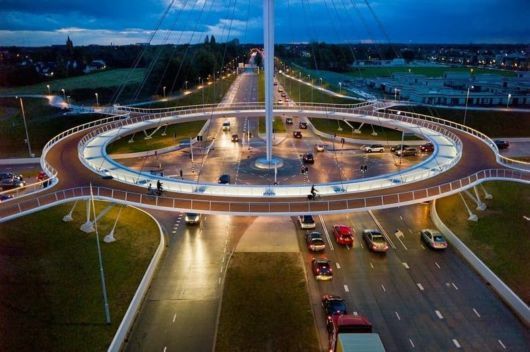 The 72-meters diameter bridge is suspended from a single 70-meter pylon located at the center of the roundabout by 24 cables, and appear to float over a large new junction for motorized traffic. 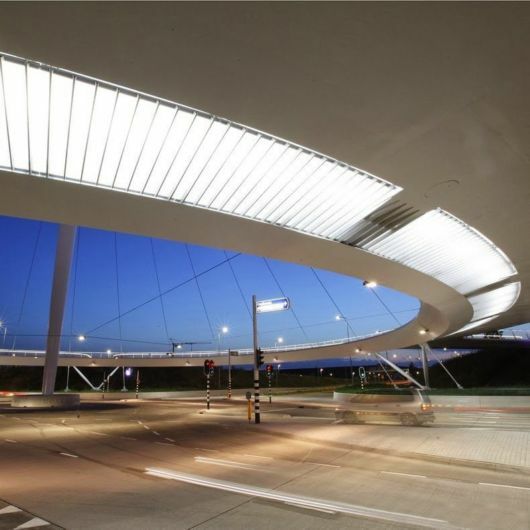 With thin decks and conspicuous lighting, Hovenring is a new landmark for the city. 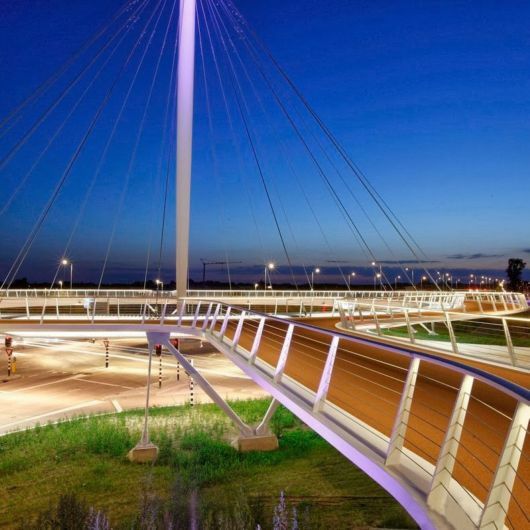 At night the slender bike ring is lit from below to further enhance that floating effect. 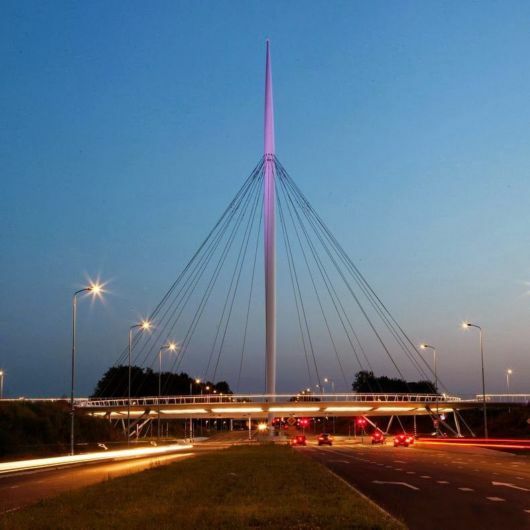 Like a flying saucer, the steel bridge hoovers above the Heerbaan/Meerenakkerweg intersection, its impressive pylon marking the entrance way to the cities of Eindhoven and Veldhoven. 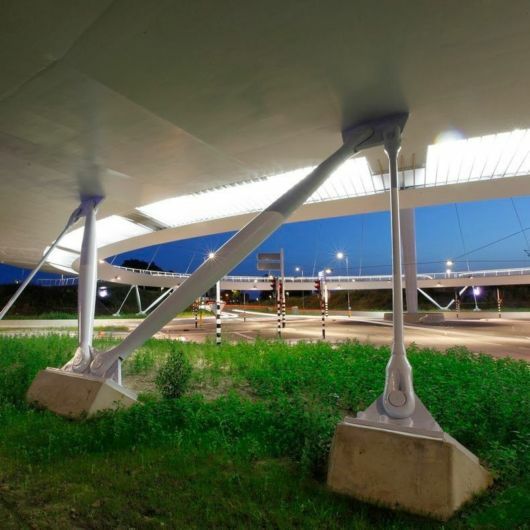 There used to be a level crossing here, but the development of a nearby housing estate meant the intersection needed changing in order to cope with growing traffic. 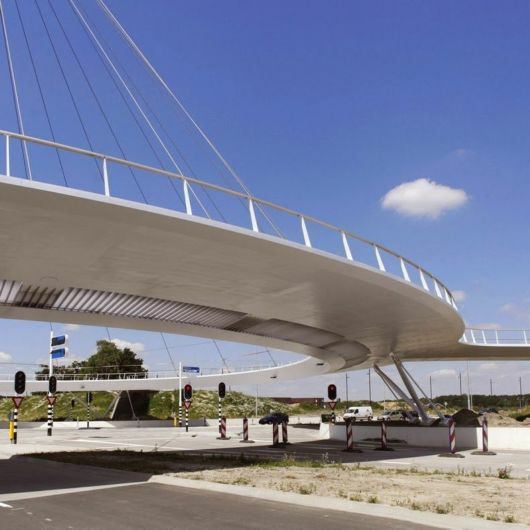 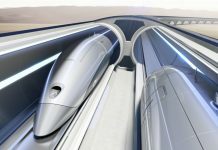 As Eindhoven City Council refrains from cyclist underpasses and didn’t want a level crossing roundabout either, they asked Dutch bridge specialist IPV Delft to look at possible solutions. 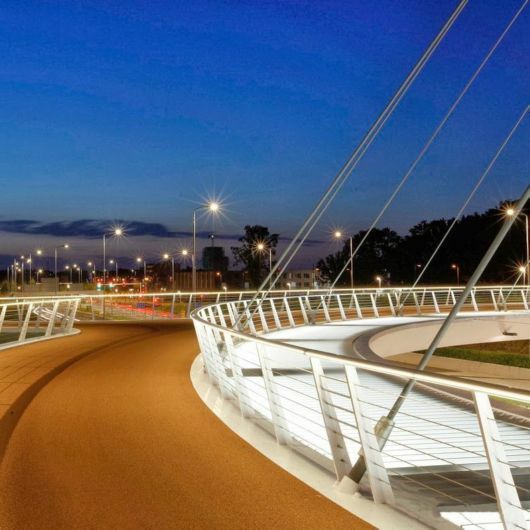 A circular cable-stayed bridge soon appeared to be the best option.